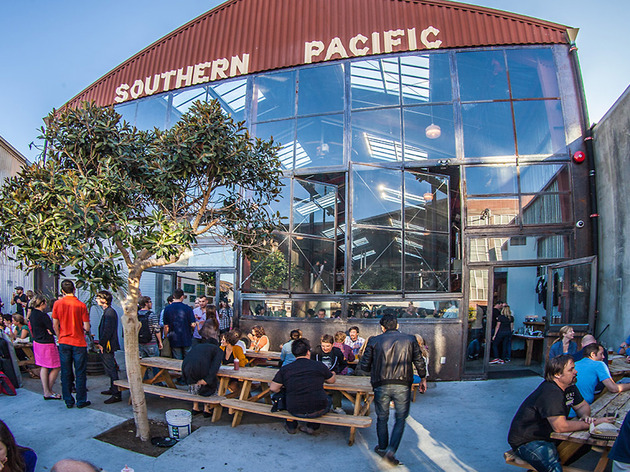 A former machine shop-turned-brewery, this indoor-outdoor bar covers 10,000 square feet. 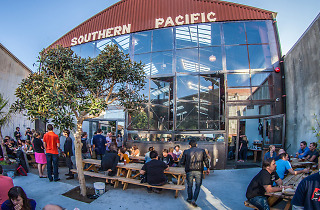 The patio out front is an ideal spot for nursing beers friends, lined with umbrella-topped communal tables and dotted with heat lamps. The vibe is low-key and casual, with ‘90s hits on the soundtrack, dogs milling about, and gussied-up comfort food on the menu. (Don’t miss the sage fries.) The real draw is the in-house beer, which spans pale ales and kolsches to porters and IPAs.